A fine place for a comfortable and peaceful stay. 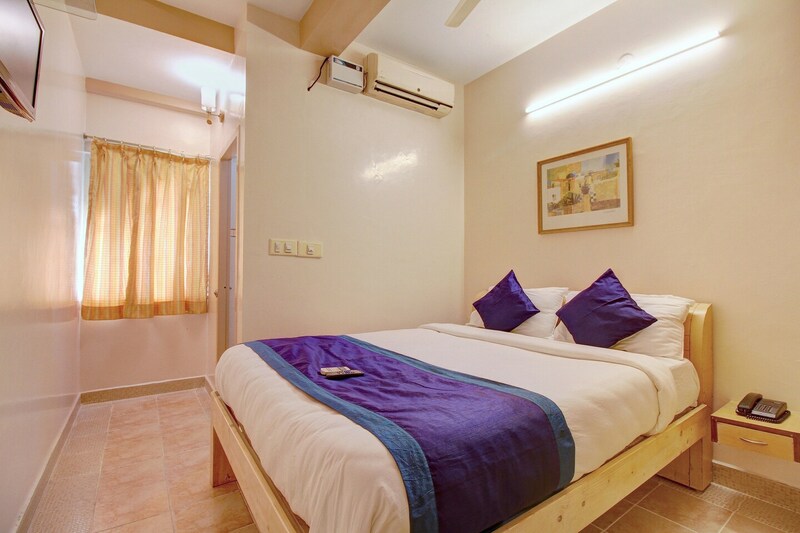 Gemini Inn is an attractive and joyful looking hotel that aims to make a guest feel comfortable and at ease during their stay there. The bedrooms at the hotel are tasteful with light-coloured colored walls and light wood furnishings. The bright curtains and cushions add splashes of colour to the room. The hotel also has an in-house restaurant. The hotel provides its guests with free Wi-Fi and power back up so that they can remain in contact with the rest of the world. Along with this the hotel also offers parking facility and a card payment option.